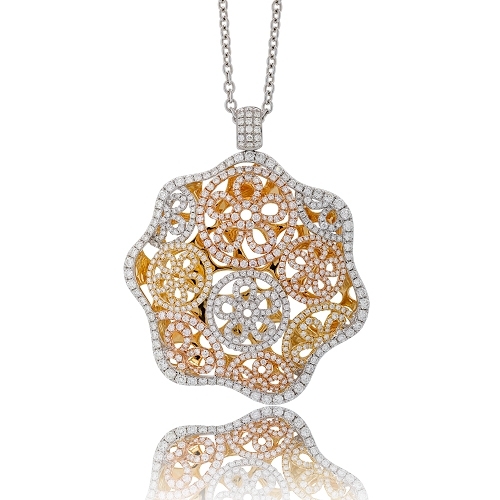 Detailed 18k rose, white & yellow gold pendant with an open floral design set with brilliant white diamonds. Diamonds approx. 6.12ct. Pendant 2.25"